Arsenal face Napoli in the Europa League quarter final. The Europa League resumes this week, with the mouthwatering clash between Arsenaland Napoli being the standout quarter-final fixture. The two heavyweights collide in what promises to be a thriller at the Emirates. While Napoli are second in the Seria A standings, Arsenal are fifth in the Premier League table, owing to their disastrous display at Goodison Park against Everton last weekend. With their chances of finishing in the top four hanging by a thread, the Gunners need to win the Europa League to qualify for next season's Champions League. Arsenal and Napoli have faced off just twice before in Europe, in the group stages of the Champions League in the 2013/14 campaign. Arsenal won 2-0 and home, while the Italian outfit defeated the Gunners with the same scoreline in the reverse fixture. Here is how Arsenal are expected to start in this mammoth quarter-final clash. Bernd Leno has been phenomenal in the recent fixtures for the Gunners. However, Unai Emery will likely stick with Petr Cech in the Europa League, and the Premier League legend will be hoping to end his career with a trophy. A lot will depend on how Mustafi and Sokratis deal with the Napoli attack. Laurent Koscielny is unlikely to feature in this game as the skipper is on the sidelines with an injury. 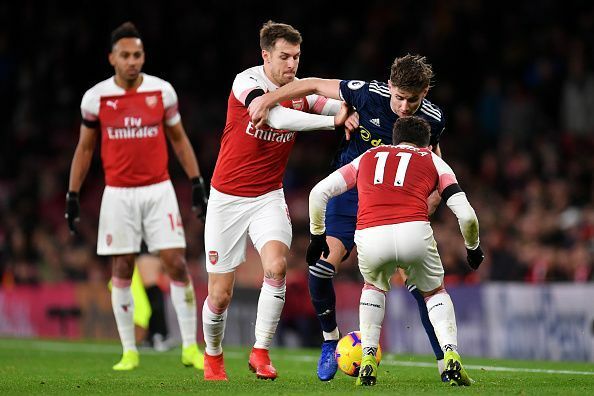 In his absence, Shkodran Mustafi, Sokratis and Nacho Monreal will likely be deployed as the central defenders. The Bosnian had a game to forget at Goodison Park. 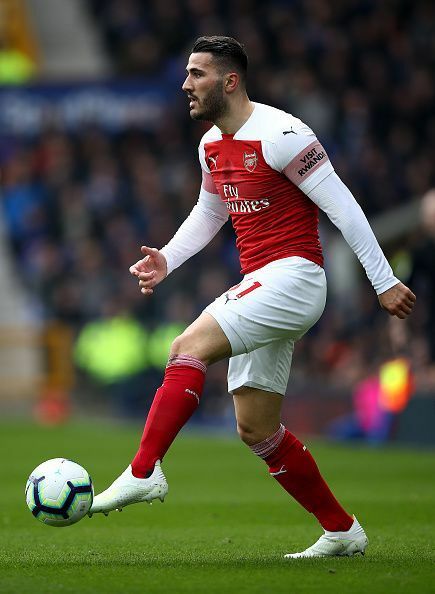 Ainsley Maitland-Niles and Sead Kolasinacwere dreadful against Everton and Emery will expect his wing-backs to step up to the daunting challenge of neutralizing the likes of Lorenzo Insigne and Dries Mertens. Torreira-Ramsey pivot has to come good. For Granit Xhaka, the game could come too soon, with the Swiss maestro still to be assessed. In his absence, Lucas Torreiraand Aaron Ramsey will likely operate as the deep-lying midfielders. The trio has to fire. Mesut Ozil was anonymous against the Toffees as the German was unable to exert any sort of influence on the game. The Gunners need their star playmaker at the top of his game against Napoli - the team against whom he scored his first goal for the Gunners. 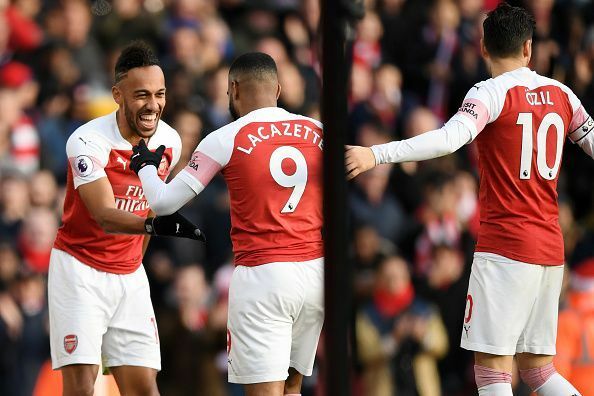 Alexandre Lacazette and Pierre-Emerick Aubameyang are likely to start up top as they look to put their lacklustre displays against Everton behind them and score a few goals.